Adriano Manocchia, born in New York in 1951, began a career in photo-journalism while completing his BA degree for literature from Pace University in New York. Upon completion of college, Adriano ran his own photo/film agency covering events for television and print media. His work has taken him aboard the aircraft carrier Nimitz, on mid-air refueling missions, on the Goodyear Blimp, and on numerous assignments to the White House. In 1983, Adriano began spending his free time painting. A year later he decided to undertake this new challenge full time. Through his art, he has supported Ducks Unlimited, Atlantic Salmon Federation, Trout Unlimited, Rocky Mountain Elk Foundation, American Cancer Society and the Special Olympics. His limited edition prints - Giant Panda and Snow Leopard - were endorsed by the National Zoo in Washington and the New York Zoological Society. A Bald Eagle painting was chosen to commemorate the 200th anniversary of the Constitution by the U.S. Bicentennial Committee, with the image reproduced on a poster and collector plate. Adriano's work helped raise over $250,000 for Ducks Unlimited through their Sponsor Print Program from 1990 to 1992. He participated in the North Atlantic Ducks Unlimited Flyway Artist program in 1991 and 1992 and was N.Y. Audubon Society Earth Day artist in 1993. He was selected Artist Of the Quarter in 1991 and 1995 for the Rocky Mountain Elk Foundation and sponsor artist in 1992 and 1996. Several of his paintings were featured in the hardcover collector's book Fine Art Of Georgia's Fairways. His art has appeared on the NBC Today Show, State Of the Art, and Woods n' Water TV Show. His work has been widely published both in Europe and the United States. 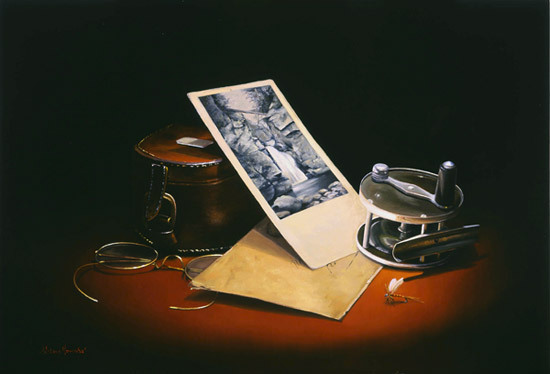 Adriano's paintings won the prestigious OWAA/DuPont Art Award in 1989 through 1991. His work has appeared in Gray's Sporting Journal, Flyfishing, Fly Rod & Reel, Collector Editions, Outdoor Life, Premiere (Monte Carlo), Wildlife Art, Conservationist, Pescare (Italy), Flyfishing Quarterly, Bugle, U.S. Art, Sporting Classics, and Flyfisher (Japan). Following a sold out show at the American Museum Of Fly Fishing in Manchester, Vermont in 1992, Adriano traveled to Europe to introduce his work and was the featured artist at the 8th Annual International Fishing Expo in Verona, Italy. In 1997 his paintings were featured at a retrospective sporting art show at the National Museum of Wildlife Art in Jackson, Wyoming, in a one-man show at Trailside Galleries in Jackson Hole, and at the Catskill Fly Fishing Museum in Livingston Manor, New York, in a two-man show entitled "Above and Below". In 2000 he was featured in the J.N. Bartfield Galleries catalog and at an Artist Showcase exhibit at Trailside Galleries. In the United States his oils are shown at J.N. Bartfield Galleries (New York City), Trailside Galleries (Jackson, Wyoming and Scottsdale, Arizona), Broadway Gallery (Alexandria, Virginia), John Collette Fine Art (Highland, North Carolina), Zantman Art Galleries (Sun Valley and Ketchum, Idaho), The Sporting Gallery (Middleburg, Virginia), the Sporting Life Gallery (Beaver Creek, Colorado), and Montana Trails Gallery (Bozeman, Montana).